Welcome to this month's special edition of the BOMA eNewsletter. In this edition, you'll find a quick recap of what's going on with Advocacy at the Local, State and Federal level. We will also thank our 2018 sponsors, show you who was honored as a BOMA Hero, recognize the 2018 BOMI Graduates and reveal the TOBY Local Winners. We've also summarized the achievements we had this year with our 2018 Snapshot. Scroll down for more! 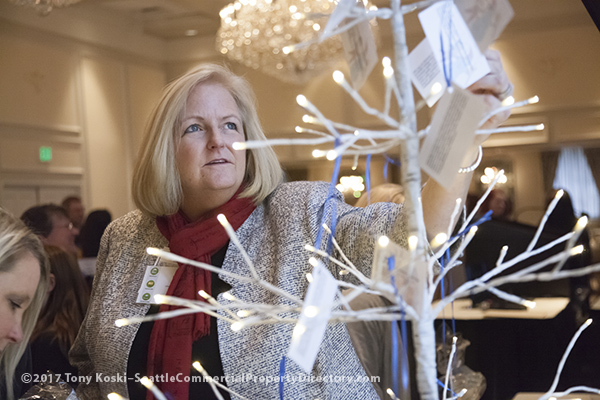 See what BOMA Seattle King County has accomplished in 2018 for Membership, Advocacy, Professional Development and Business Networking! Click on the link below to see our infographic. All of this would not have been possible without your membership and continued participation and support. Thank you for a wonderful year and we look forward to what 2019 will bring! 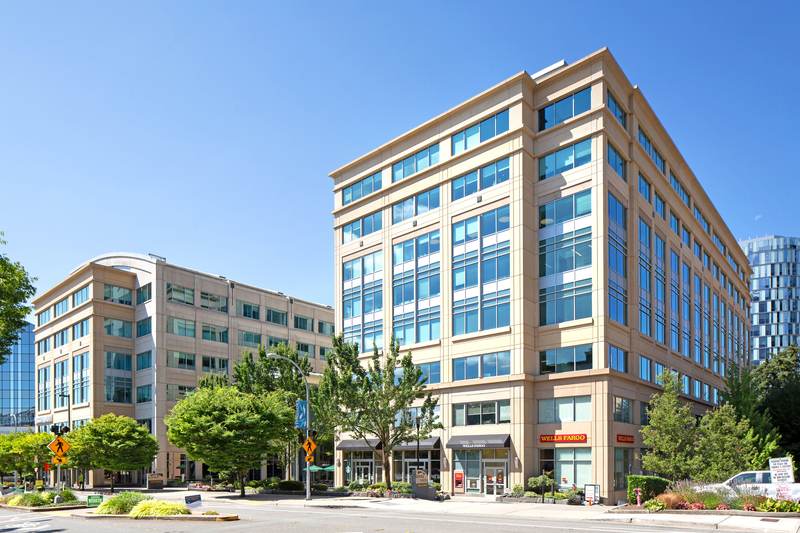 Participate in the New Seattle Commercial Property Directory! Article contributed by Tony Koski. The Seattle Commercial Property Directory will be published in early spring of 2019. Tony Koski will be calling on Building Owners and Property Managers in the next couple weeks to discuss participation. As most of you know, there is a printed version and is online at http://seattlecommercialpropertydirectory.com. Your buildings get highlighted and listed on the map side and leasing information is on the back. This has been a valuable and popular resource tool for over 15 years. They are displayed on office walls and carried in briefcases across this city and also used in some out-of-state offices. Make sure you don’t miss this opportunity to be a part of the New Seattle Commercial Property Directory.To discuss participation or order copies of the current “Map” please call Tony Koski at 206-369-1538 or email at tonykoskimedia@gmail.com. For more information, please contact Catherine Stanford. 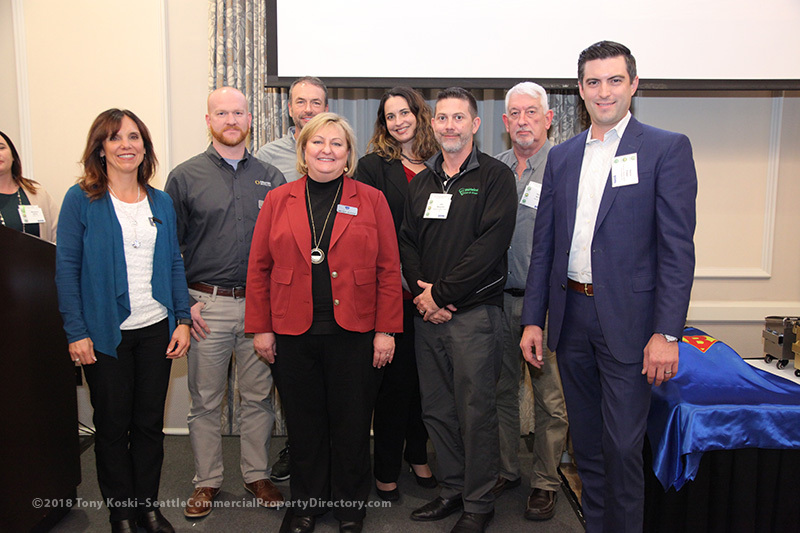 Thank you to our 2018 Sustaining Partners! The contributions these companies bring to BOMA greatly impact our ability to be financially strong as well as allow us to bring fun networking events and robust educational offerings to our members. We appreciate your dedication and support to BOMA! Siemens Industry Building Technologies, Inc. If you're interested in becoming a 2018 Sustaining Partner, please contact Cori Taniguchi. Education is a huge part of BOMA and throughout the year, we offer classes that can be put toward a designation or certificate. BOMI designation and certifications are recognized industry-wide and the courses and programs offered have been proven to reduce operating expenses, increase overall efficiency and enhance individual performance, adding value to any organization. Registration is now open for 2019 classes. Thank You For Donating Your Space to BOMA! As our educational programming and networking events grow, so does our need for space to hold our classes and events. We would like to thank the following companies for donating their space for BOMA Education and Events in 2018! We are tremendously grateful for your continued support. 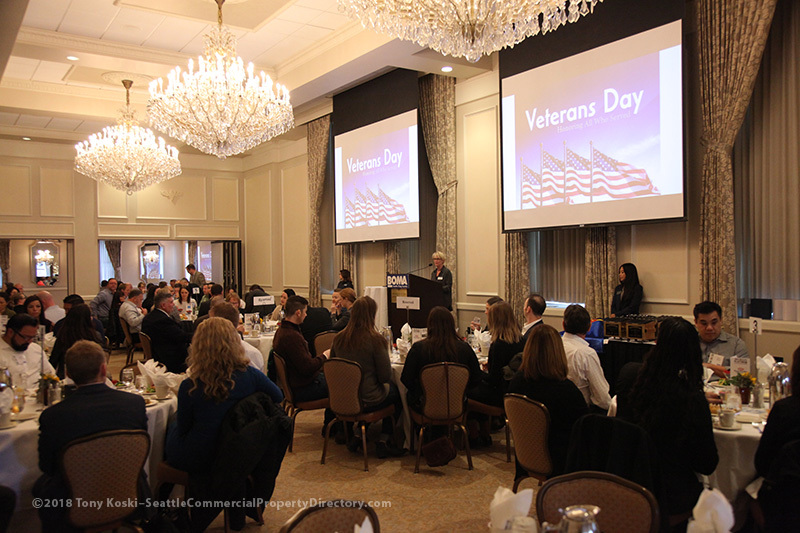 You help make our education and events successful and we couldn’t do it without you! If you are interested in providing your space for an education or networking event, please contact Christine Miclat. Thank you to the instructors that have given their time to teach a course or seminar this year. We know your time is valuable and we appreciate you! The Outstanding Building of the Year Award is the most prestigious recognition and honors the best of the best in the commercial real estate industry recognizing quality in buildings and rewarding excellence in building management.It recognizes and rewards not only how a building is run and maintained but also recognizes all the hard work people have put into the building. At the Local level of the TOBY competition, buildings undergo a building inspection and must score at least 70% to move on to the Regional competition. 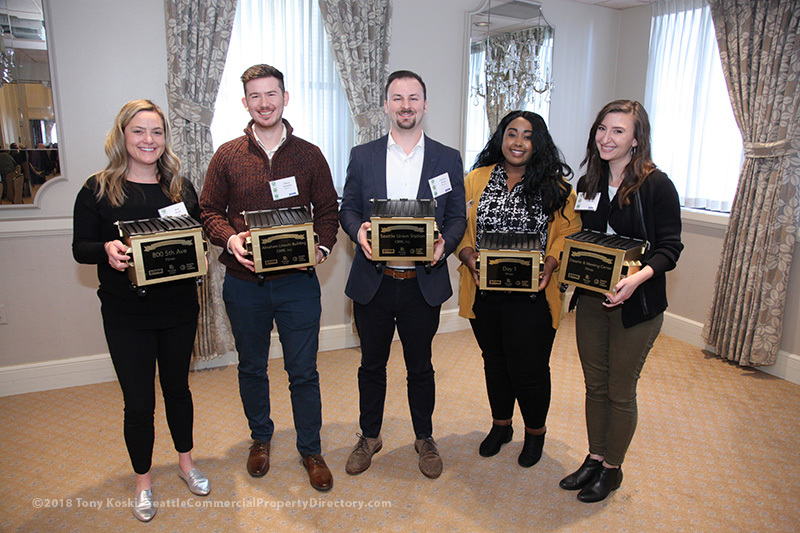 Congratulations again to our 2019 LOCAL TOBY Winners! Good luck at the REGIONAL Competition! The TOBY’s success comes from partnerships developed at all levels and judges are an integral part of the program. We had a number of volunteers judge our local entries, giving them the opportunity for a back of the house tour of a spectacular building while receiving greater insight into our industry. Thank you to the following for your time and participation! 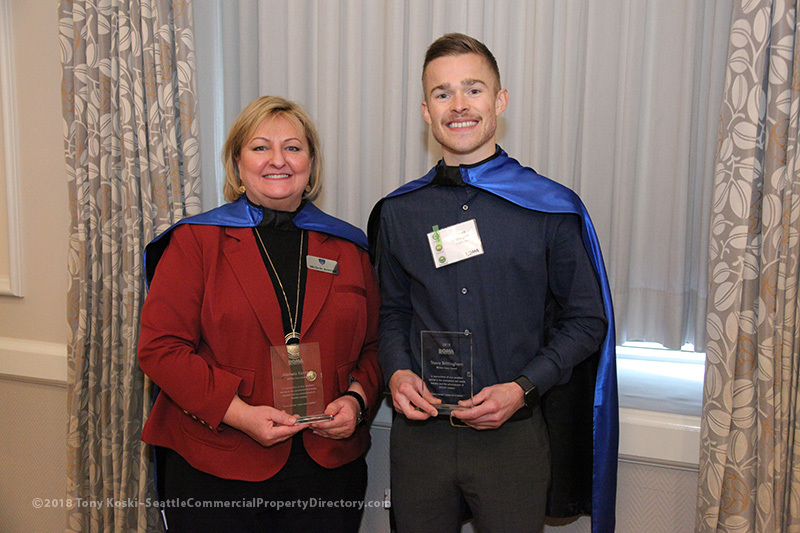 The BOMA Hero Awards recognize the members of our organization that have displayed hard work, dedication and were real standouts among our membership. Click here for their full descriptions. The Golden Dumpster and Platinum Dumpster competition is sponsored by Recology Cleanscapes, BOMA Seattle King County and Seattle Public Utilities. 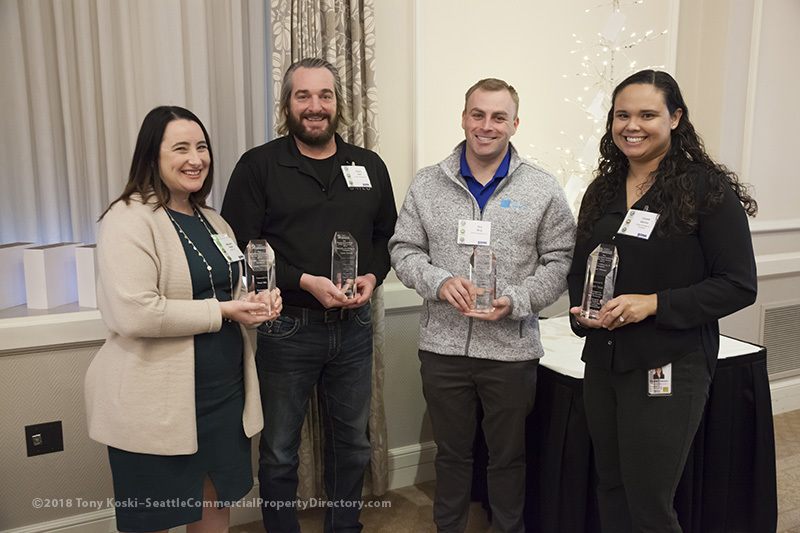 This award recognizes Seattle buildings for their significant achievements in the areas of waste reduction, recycling and composting. This year, we also announced our Platinum Dumpster award winner. Only previous Golden Dumpster Award winners were eligible to apply. The Platinum Dumpster winnershowed meaningful improvements in waste reduction, tenant education, composting and recycling since initially winning the Golden Dumpster award! Congratulations to all the 2018 Golden Dumpster Winners! 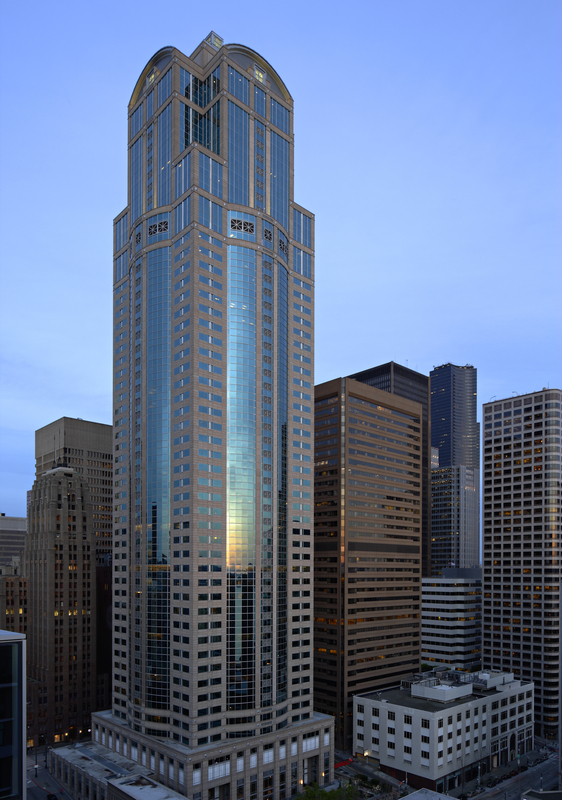 Join Us at the New Columbia Center Sky View Observatory! Celebrate with us at the 2018 BOMA Holiday Party on Tuesday, December 11, 2018, at the top of the Columbia Center Building. Join us for a fun evening of networking and celebration at the new Sky View Observatory! It will be a relaxed atmosphere where you can mingle with great company, reminisce on highlights of the past year and enjoy drinks and dinner while overlooking the city from the 73rd Floor. We encourage spouses and significant others to join in on this special night. Register them at member price. Dress is cocktail attire/business casual. Sponsorship opportunities still available - please contact Cori Taniguchi. Thank you to everyone that took a tag from the Ryther Tree! - Presents should not be wrapped but they should be labeled with the # on the tag. If you see some gift wrap that you cannot resist, our staff and our families love to wrap presents themselves. We would greatly appreciate rolls of wrapping paper, gift bags, tissue paper, and gift labels if you would like to donate supplies. - Please provide a gift receipt or online order numbers in case there are any issues. - This year we also are asking for gift cards. Gift cards help with ongoing needs of the children in residential treatment. They grow and thrive while they are here and so often need new clothing and shoes throughout the year. We shop at JC Penney, Old Navy, Fred Meyer, Gymboree, Target, Ross, Payless Shoes, Marshalls/TJ Maxx, Burlington Coat Factory, Footlocker, Amazon, Costco and DSW Shoes. Please bring your unwrapped gift to the BOMA office before December 6th or to the BOMA Holiday Party on December 11th. For questions, please contact the BOMA office at 206-622-8924. Your participation and extreme generosity are greatly appreciated! 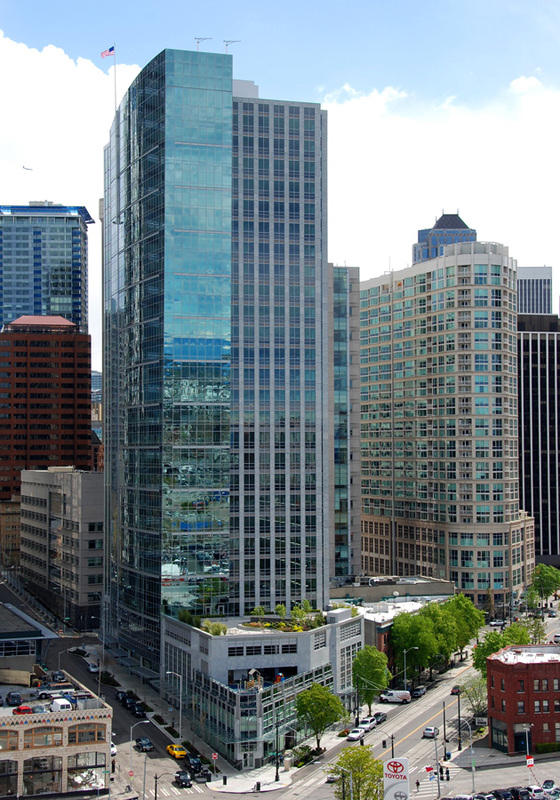 A recent report released by the City of Seattle's Office of Sustainability and Environment reveals that Seattle's benchmarked buildings are reducing greenhouse gas emissions, saving money and improving performance. Highlights of the report include a reduction in energy use by 3.7% and decreased total carbon emissions by nearly 5% in buildings that benchmark. Seattle's Energy Benchmarking ordinance requires owners of commercial and multifamily buildings 20,000 sq. ft. and larger to track their energy performance and report it annually to the City of Seattle. While benchmarked buildings have reduced emissions and saved energy, the City's building boom means more savings are needed to meet the City's ambitious climate goals. 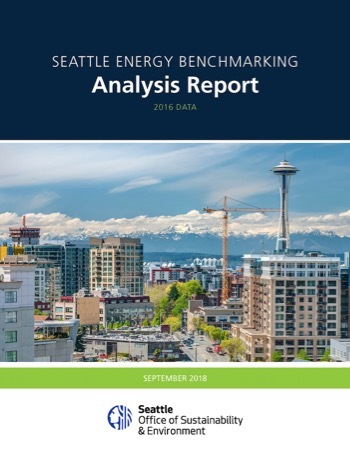 For questions, please contact energybenchmarking@seattle.gov. Now is the Time for Tune-Ups! March 1, 2019, is the deadline for completing a Tune-Up for buildings 200,000 square feet or greater. Send completed workbooks no later than March 1 to BuildingTuneUps@seattle.govand remember that all required corrective actionsmustbe implemented and verified by the time you submit. 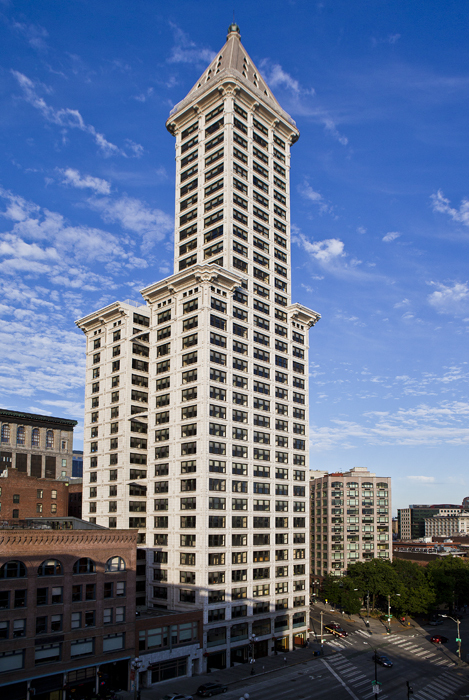 The City of Seattle strongly encourages you to plan well in advance of the March 1 deadline as the building assessment, corrective actions, and verification can take several months to complete. To help with the process, the City of Seattle and NEEC are offering Tune-Up Specialist training sessions at the Smart Buildings Center on either Wednesday,November 28th orWednesday, December 5thfrom8:00 AM-12:30 PM. Please note, thistraining is tailored to those who have NOT attended a Tune-Up Accelerator training session.Please register for the11/28 eventor the12/5 event. Keep planning ahead! For buildings sizes between 100,000 sq. ft. and 199,999 sq. ft., the alternative compliance deadline is April 1, 2019.Alternative compliance requests should be emailed toBuildingTuneUps@seattle.gov. 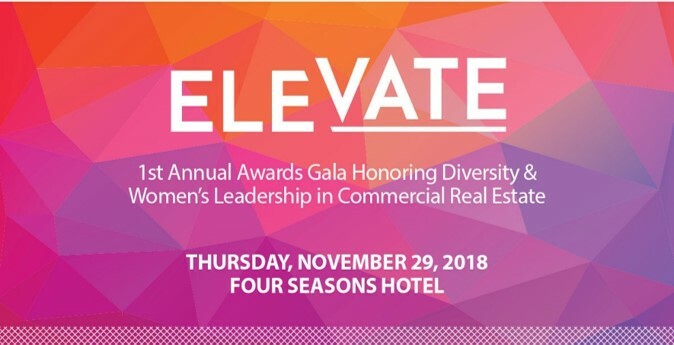 The Registry has partnered with CREW Seattle to produce ELEVATE, a celebration of women in the commercial real estate industry. The event will honor companies and exemplary women who are making a positive impact in today’s real estate industry. //Questions About Anything You See Here?